It’s impossible to defend yourself when your accuser or critic is anonymous. To explain: two weeks ago I penned an anti-casino gambling column in these pages, took an editorial stand against going all Las Vegas here in Massachusetts. Nothing out of the ordinary. In our free wheeling democracy taking a stand on issues of the day may be at its most vigorous ever in our history and that’s great. Every day tens of thousands of folks weigh in on topics great and small and let their views be known in columns, blogs, bulletin boards, on television and of course in newspapers, like this one in print and on the Internet. But here’s the problem: my pro-gambling opponent was anonymous, unnamed, cloaked themselves in a throwaway email address. He or she sent me a colorful and sharply worded email, rightly chose to critique and slam my idea, yet then did not have the courtesy or the courage to identify his or herself. Makes me frustrated. I love a good debate, a healthy exchange of ideas, a respectful give and take on matters of politics, social policy, or just about any issue. 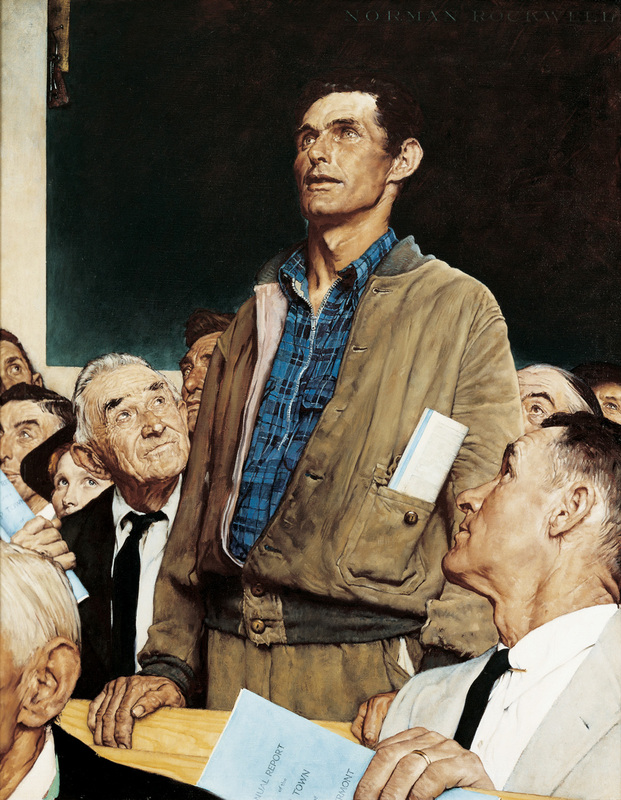 For all our challenges as a nation, open, transparent and legally protected free speech is one of the things which make America such a vibrant nation, a beacon of participatory citizenship in the entire world. While folks in places like China or Russia may risk their freedom, even their lives to publically speak out and take a stand, here in the United States our right to speak up and out is a given. We can stand on Main Street, call our President a stumbling failure or a candidate for office a blustering buffoon and not fear intimidation or arrest. 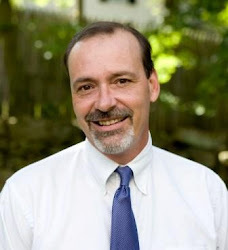 We can rise up at a Selectman’s meeting and speak our piece about the latest small town political dust up and walk away unscathed. As the 17th century author and political philosopher John Milton wrote, “Truth will rise to the top through a free and open exchange in the marketplace of ideas." The key term here is “open”. When we argue, we have a right and a need to see who our opponent is and to then address them and their complaint squarely. But what happens to truth when folks hide behind the mask of anonymity? When we or our idea gets cut down by the shadowy, the hidden, the pseudonym veiled critic? How can one fight back? In the Wild West setting of the Internet, that is increasingly the norm these days, and not merely in a harmless email to a newspaper columnist. Check out any news or commentary web site and below every article or opinion piece is a button called “Comment”, where readers can have their say. Good. But here’s the rub. Almost all of the times when we wade into these real time debates, where any reader can weigh in, these diatribes are penned anonymously. 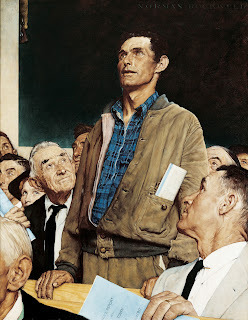 Author after author exercises their First Amendment right to speak up but it is the few and the rare who then also then have the guts to identify themselves. This is no esoteric or limited problem. On thousands of such sites across the United States, folks go to town and just rip apart people, ideas, political candidates, neighbors, and defenseless youth in cyber-bullying. The list of the anonymously attacked and defamed is endless and on the increase. Next time you read an online article like this one, click on that “Comment” button and check out the exchange of opinions. Guaranteed much of the language and views will shock and disturb you. By hiding in anonymity, the ugly and unnamed id of humanity shows its worst. The gift of the Internet is that it has made us as a nation and world more democratic and more empowered to speak our piece, share our views, and exchange ideas. It is human freedom on steroids. The curse of the Internet is how easily one can become invisible therein. So to my email critic: please write back to me and this time include your name so we can begin a public, open, civil and fruitful debate. Ideas matter. Truth matters. But finally, anonymity is the enemy of true democracy. As we debate, let’s do so for all to see in the public marketplace of ideas. First there’s the realization that you are no longer fully upright and standing, that gravity has somehow conspired to hurtle you bodily towards the ground. Then there’s the surprise and split second preparation. Now that I am tumbling downward, what can I do? Then the response: a hand thrust out, a shoulder prepared for impact on the earth. Then the thud as our body makes impact. All when we fall. Go from upright to down low. From vertical to horizontal. One moment looking up at the sky the next looking down at the floor. I’ve fallen a lot lately. I spent this past spring and summer on a bicycle, training for a charity ride and for the first time I used pedal “clips”. Clipped bike shoes are great because they tightly secure your feet to the pedals and make for a better stroke. Clipped bike shoes are awful because when you stop, if you forget to quickly disconnect feet from pedals, you fall right over, bike and biker in a big heap on the ground. In the past four months I’ve raised falling to an art form. I’ve fallen over on a city sidewalk in the midst of traffic, spilled and splayed on a gravelly road shoulder and rolled over on a rural grassy knoll. Falling is never fun of course. It hurts both the dignity and the body. But to fall is the most human of actions and not just for bikers. Toddlers do it as they learn to walk. Teens do it when they rush too fast. Adults do it when they forget they aren’t quite as lithe as they used to be. Seniors dread a fall: it can mean an injury and the end of independence. In the end we humans all fall. The verb “fall” first appears in language around the 1650s and means to fail, decay or die. 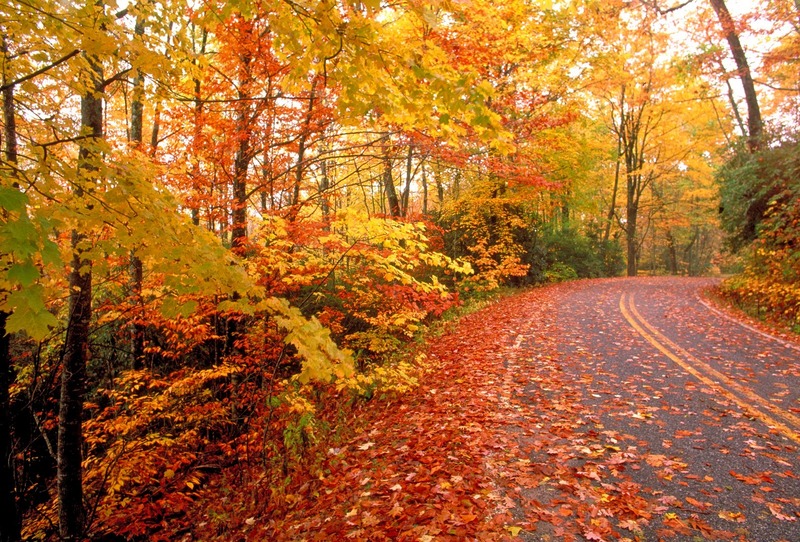 At about the same time the noun “fall”, connoting the season between summer and winter appears, shortened from “fall as a leaf”. We all fall, right? The question isn’t “if” but “when” and maybe even more important, “how do we fall?” Fall the right way and we avoid injury. Fall the wrong way and “ouch!” In our bodies but in this life too, in our daily journey: how to fall? A relationship ends and we fall. A heart is broken and we fall. Our bodies get older and we realize that if we are not careful we will fall. That’s the physical and spiritual struggle a man named Philip Simmons faced, when as a 34 year old, he was diagnosed with ALS or Lou Gehrig’s disease, an affliction marked by deteriorating muscle function. Simmons learned early on that ALS inevitably leads to many falls but he also discovered if he fell the “right” way he didn’t get hurt. For Simmons this act of falling was about so much more than a little tumble: to fall was actually a powerful metaphor for all the struggles we humans go through as we bang up against our mortality, our frailty as human beings, the finitude of life. Fall as a season is a great time to reflect upon this question of whether or not to fall with courage and acceptance or to fall with fear and struggle. All around us nature is now falling: from abundance to scarcity, from green to brown, and from full to fallow fields. Animals hunker down and prep for chilly times. The Sun wanes and temperatures fall. Earth falls. The gift of faith reminds us that although we are all made by God as “good” we are also made imperfect and so falls are just a given. That’s the rhythm of life. 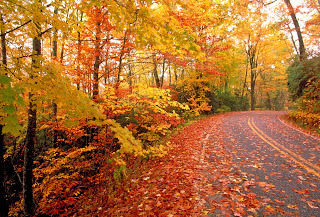 Yes fall is coming, today in fact, the day when we experience exactly 12 hours of daylight and 12 hours of night. But fall is always here too, fall as the bittersweet and profound truth that we all fall. So what in your life are you falling into or towards right now? Another birthday? A shift in a relationship? A body which is breaking down? Or just change? We all fall. It is fall. May we always remember that God is here in the fall too, not so much to catch us, as to give us the grace to fall and fall very well. See you on the way down and happy autumn. and gave their thanks to God. A land of opportunity in the good old U.S.A.
and people come to stay. All hail to grand old Bay State! It’s just not “Massachusetts”, no other way to phrase it. It’s not who we are, not what makes this our state so special, such a great place to live and to work and to raise children and to call home. I’m talking about the impending legalization of casino gambling right here in the Bay State in the weeks ahead. Three brand new casinos and the expansion of slot machine parlors: KA-CHING! Though a vote has yet to be taken and the Governor hasn’t given it his signature, all signs indicate this just may be a done deal, pun intended. I’ve heard all the pro-gambling arguments. Scores of new construction and gaming jobs. Increased tax revenues for the state and local cities and towns. If gamblers don’t bet here then they’ll just spend their money elsewhere, in Connecticut and New Jersey. The Globe reported on Monday that several northeast states are also moving into the gaming business with legalization and expansion legislation and ballot questions pending in Rhode Island, New York, New Hampshire and Maine. So if we are going to do it, we have to do it now and do it quickly, right? But as someone who was born and grew up here, a loyal native, who has lived in many other places but always come back home to Massachusetts, I’m sad at the prospect of a trio of behemoth casinos becoming a part of our social fabric. Let other states, in their fiscal desperation feed at the trough of gambling, make a devil’s deal with the gamers and go all in for the tawdriness and the seduction of gambling. Which glitters like gold and calls forth like in warped siren song, but ultimately comes up short and is finally spiritually and morally empty. You can’t win if you don’t play! Just one more bet and you’ll win it all back. If I just stack up those chips and pull the slot’s arm and parlay this poker hand, I’ll make it to easy street, right? Those are all big lies, of course. For in gambling, the house always wins. Always. The odds are forever stacked against the poor souls who bet. The kind of gambling industry we’re talking about is not the relatively harmless kind: the occasional lottery ticket, a bingo game or a day at the races. These casinos are going to be huge and will draw thousands into their myth of “a sure thing”. And that’s not Massachusetts, at least not for me. That’s not how I want to see my state raise revenue, take money out of the pockets of so many folks who can’t even afford to gamble, never mind feed their families or make their mortgage payments. How about you? Is that how you want to see your local public school funded? On the backs of the poor, at the poker table? Not me. That’s just not Massachusetts. No. Massachusetts is great universities and cutting edge scientific research, world class hospitals and history unlike any other state in the country. 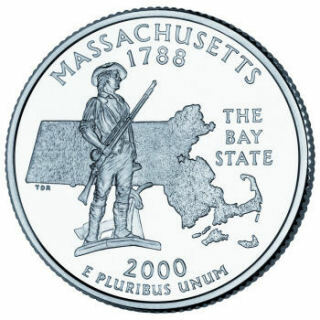 Massachusetts is the birthplace of the American Revolution, is the Kennedys and the Adams and museums and the arts. Massachusetts is where the Industrial Revolution blossomed, where the telephone was born, where the computer was birthed in a high tech miracle. Massachusetts is fishing out of Gloucester and hard scrabble manufacturers who keep America moving. Massachusetts is a rich tapestry of immigrants yesterday and today: the Irish, the Italian, the African American, the Asian American, the Dominican, the Brazilian, all come here and mixed together in a gorgeous tapestry of history and culture. Massachusetts is pristine shorelines and windswept beaches, apple orchards in the fall and quiet walks on a snow capped Boston Common in winter. Massachusetts is title-town: the bruising Bruins, the cardiac kid Red Sox, the dynasty Patriots and the best basketball team ever, the Celtics. I know I’m totally biased in making this argument. I know I risk sounding snobby or parochial in claiming that Massachusetts is unique, one of a kind and definitely not the kind of place to become the northeast’s gambling mecca. But here’s the truth: there’s just about no where else in the entire world I’d rather live. I love calling Massachusetts my home. And if and when the gambling bill passes and those “resort destination” casinos are built, Massachusetts will be much the less for it. Our revenue coffers may fill up, but we’ll all lose a bit of our collective civic souls in the process. This just won’t be Massachusetts anymore, and that’s one bet I just will not and cannot make. The Reverend John F. Hudson is Senior Pastor of the Pilgrim Church, United Church of Christ, in Sherborn (pilgrimsherborn.org). 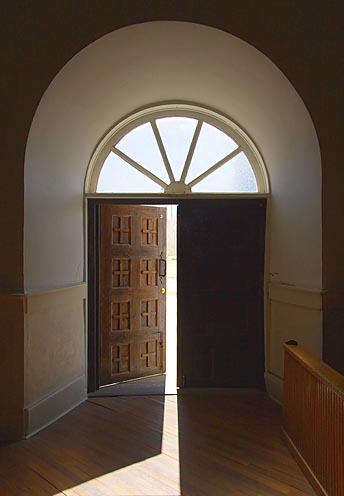 If you have a word or idea you’d like defined in a future column or have comments, please send them to pastorjohn@pilgrimsherborn.org or in care of The Dover-Sherborn Press (Dover-Sherborn@cnc.com). Remembering 9/11 and doing so as a community, together. It is rare for so many people to share such a common memory. It happens once in a generation, if at all. When Pearl Harbor was attacked. When Kennedy was shot. When King was struck down. When the Challenger exploded. These collective memories aren’t always so traumatic. Some are joyous. When the war finally ended. When the Sox won the World Series. When America elected its first African-American President. 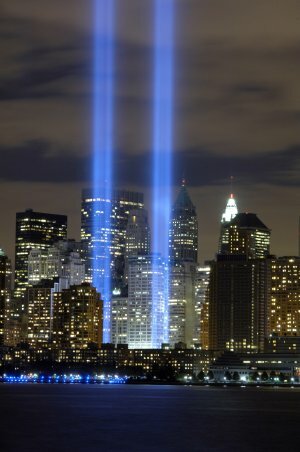 And so what will we as Americans and humans remember this week about 9/11, ten years on? What do we want to cherish and never, ever forget? What do we wish to let go of and just leave behind? I want to remember the unity and community I felt as never before and never since, with my fellow Americans. It’s sad that it often takes a collective crisis to create such an atmosphere of mutual care and dependence but on 9/11 and in the days that followed, I felt more “American” than I ever have. Not in a jingoistic or triumphant kind of way, but in sympathy and even love. We all wanted to help somehow, remember? Millions of us rushed to give blood and donate supplies to our neighbors in need. Thousands of brave first responders from around the country rushed to assist in the doomed rescue effort at Ground Zero in New York City. Folks gathered together that Tuesday night in huge numbers and prayed in tens of thousands of houses of worship. We cheered and wept at the stories of firefighters who rushed up the stairs into the burning towers. “Greater love has no one than this, than to lay down one’s life for one’s friends.” I want to remember President George Bush calling Americans to respect and protect their Muslim sisters and brothers, his reminder to us that Islam was finally a religion of peace. Let’s remember all these things. But I also want to forget some things about that day and the weeks and months and years which have followed. How afraid we were and still are, a pervasive collective fear which can bring out the worst of human behavior. Fear based suspicion which still drives some Americans to stereotype, malign even attack Muslims or anyone who does not look or pray or act like “us”. Revenge born of fear which birthed two wars which are still ongoing a decade later, the longest military conflicts in the history of our nation. I want to forget the ugly underbelly of religion which appeared on 9/11, a fundamentalist brand of faith which insists upon a narrow and cruel image of God, One who would justify the killing of innocents as somehow being “faithful”. 9/11 happened, some 3,650 days ago, and yesterday on a bright and beautiful blue sky September morning, remember? There is no escaping this memory. But what will we finally learn from it? Has it changed us for the better or for the worst? I don’t think we can rightly answer those questions yet. But this we can do: remember and forget. Remember and honor the dead and the lost and the real heroes of that awe-ful day and how we were one. Forget the ways 9/11 has made us a more frightened and defensive country and citizenry. Memories can save us. Memories can condemn us. The choice is up to us. I just found the most amazing video. Will you respond?